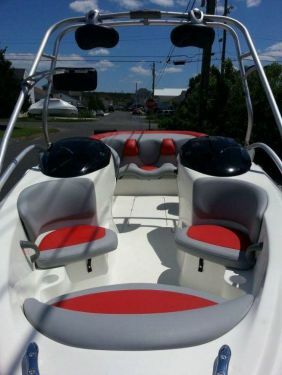 We purchased a 2002 X-20 with Mercruiser 240 2-Cycle power. It has performed flawlessly since new. Regretfully, time an the sun took it's toll on the interior and hull. We didn't want to sell or trade it as it was mechanically solid. So we decided to replace the interior, repaint the hull and upgrade the sound system. The results exceeded our expectations. We now have a boat that looks great at a small fraction of a new one.